A-1 Washington Plumbing Svs, Inc. Comment: Install under sink water filtering system into current empty hole in sink. Customer to supply new faucet. Comment: I would like to get an estimate for completed remodeled building. Museum. Can't have pipes corrode. HVAC contractor calling. Will need to be detailed. Comment: replace an existing reverse osmosis system with a new one. Comment: We have an Elkay drinking fountain and bottle filler that needs to have the water filter changed. Comment: connecting in line filter for water line to ice maker. 321 S. County Line Rd. Chicago Water Treatment Companies are rated 4.71 out of 5 based on 1,155 reviews of 15 pros. 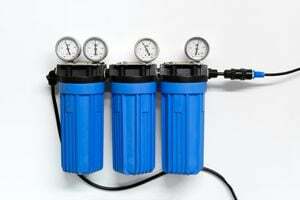 Not Looking for Water Treatment System Contractors in Chicago, IL?